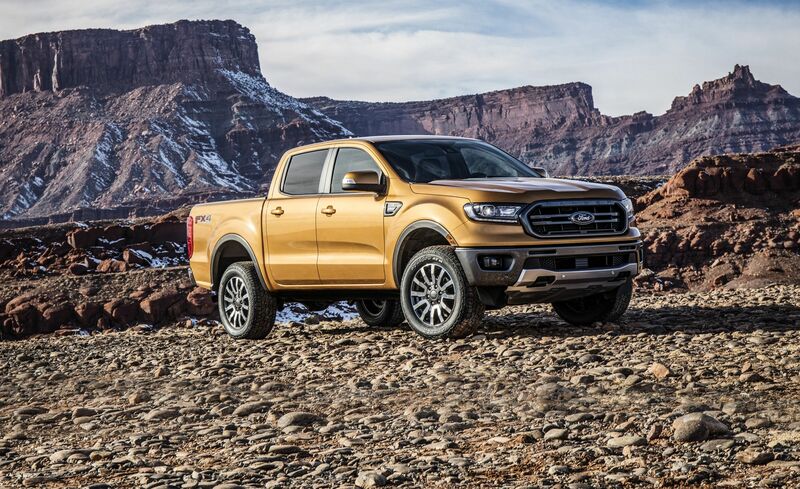 Ford finally announced the Ranger with official pics and info. Quite disappointed to see the only engine listed being a 2.3 EcoBoost with the new 10-spd auto. Looks decent, but really seems to be aimed at the "need a 'truck' to go to Home Depot to buy a hammer" crowd. The 07 Ranger got to be 10 years old, glad I didn't wait for this to show up !! Wonder what the mini Raptor will be using for a motor. If I can get it in a regular cab I wouldn't mind it. Hate big trucks, I want a super small 4 wheel drive regular cab truck. Preferably with a stick, but I know how things are these days. Would also really like manual 4 wheel, not that automatic crap... But I bet that's off the table as well. Fords really putting a lot of stock into this new 10 speed. From what I can gather it's going in everything considered a truck, including commercial vehicles. My dad just said "Uhh, ok."
Great in the snow (with 300 lbs. of sand in back and snow tires). Wholesaled it 8 years later for $6700. '02 v6 5-spd vs. '05 v6? 5 spd?